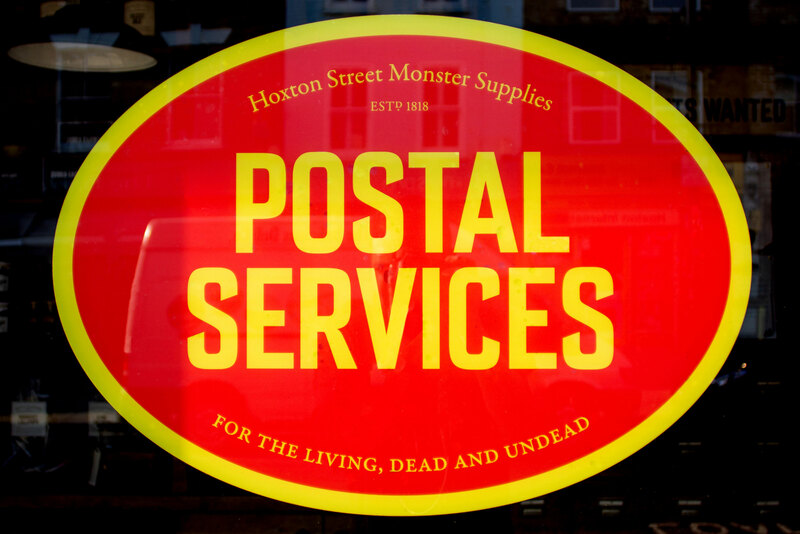 Hoxton Street Monster Supplies, the shopfront for children’s literacy charity Ministry of Stories, has always been a fantastic place to shop – whether you’re a monster or a human. But the folks at the Ministry were eager to make it a bit more of an experience, and to incorporate a bit more of the writing that goes on behind the shelves in the Ministry. 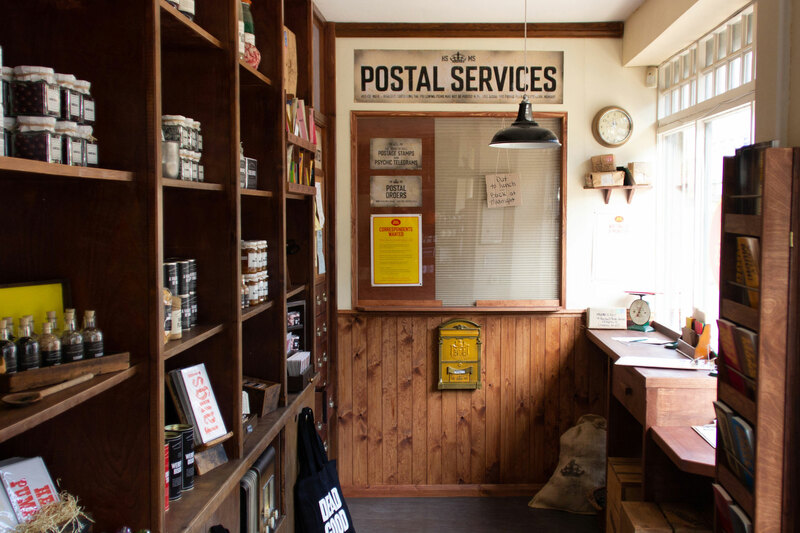 With this in mind, they decided to create a postal counter in the shop, where children could write to monsters who had already written to the shop in the hope of striking up correspondence with other monsters (or sympathetic young humans). 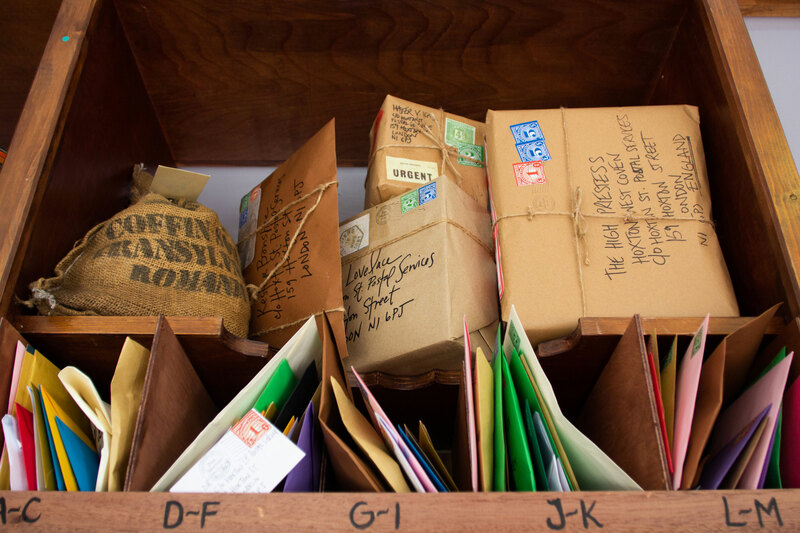 Scenographer Alison Neighbour created fantastic designs for the space, and I designed the identity for the Postal Services, as well as the printed materials, working with two students from Central Saint Martins – Sapir Ziv and Jonathan Quaade. 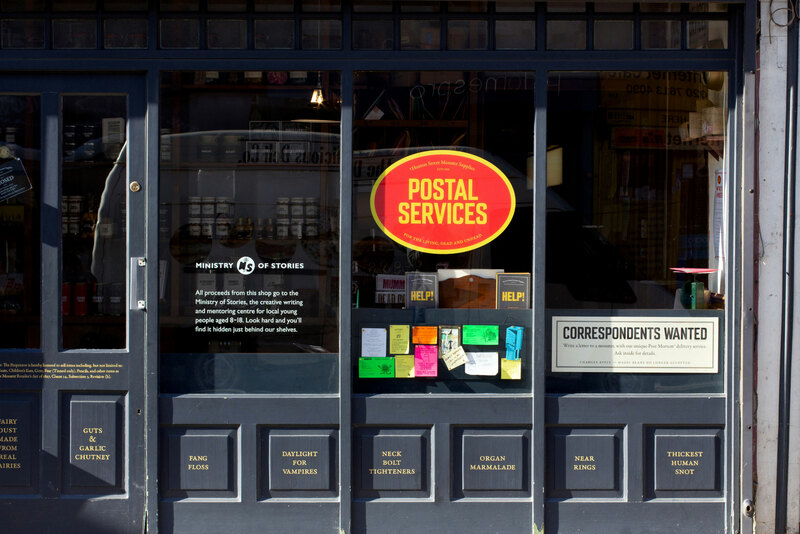 I based the identity for the Postal Services on a mix of the Post Office’s contemporary identity, and the enamel nameplates found on the early 20th century Ludlow postboxes. Sapir and Jonathan came up with the idea of the Post Mortem™ delivery service, ‘For terrifyingly good deliveries in this world and the next’. 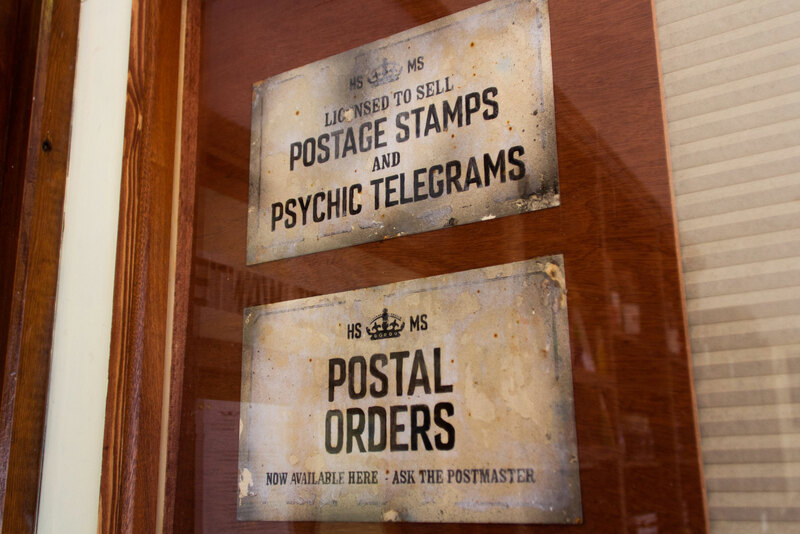 Alison created a postal counter at one end of the shop. 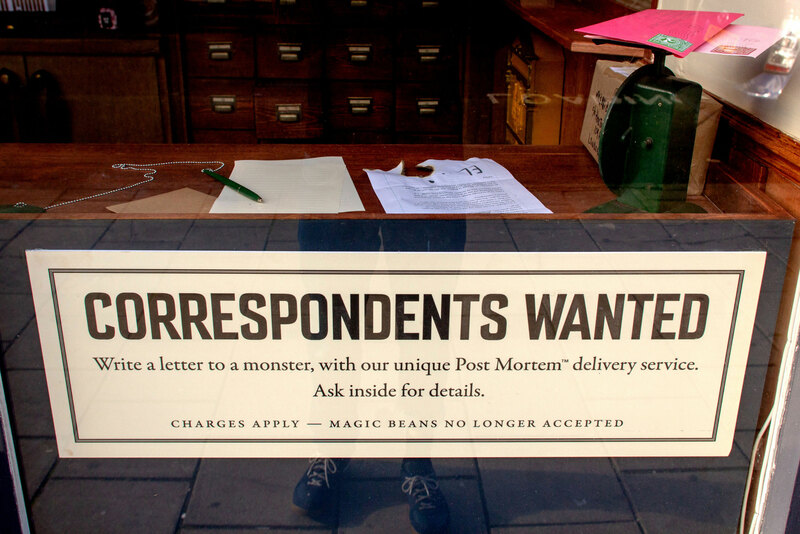 Children are invited to reply to some of the monsters who have already written to the shop. Perhaps Luca, a vampire from Transylvania who’s been 12 years old for 400 years. Or Red, a female werewolf who just wants to hear some jokes. Or Lapis, the eight and a half year old mummy who’s trapped in a museum and is really lonely. 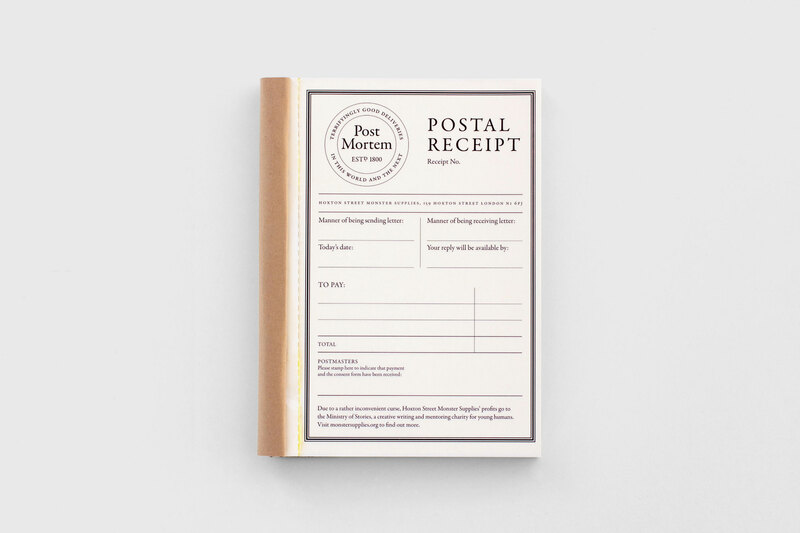 Once they’ve written their letter, they pay a small amount to use the Post Mortem™ delivery service, which is the most secure way to send letters to monsters. 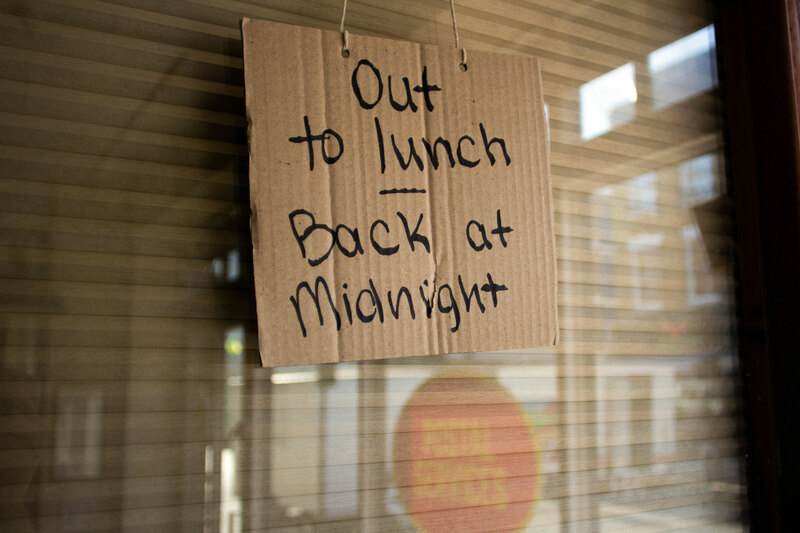 It normally takes about a month to get a reply back, which is either held for collection in store, or forwarded on to the child. 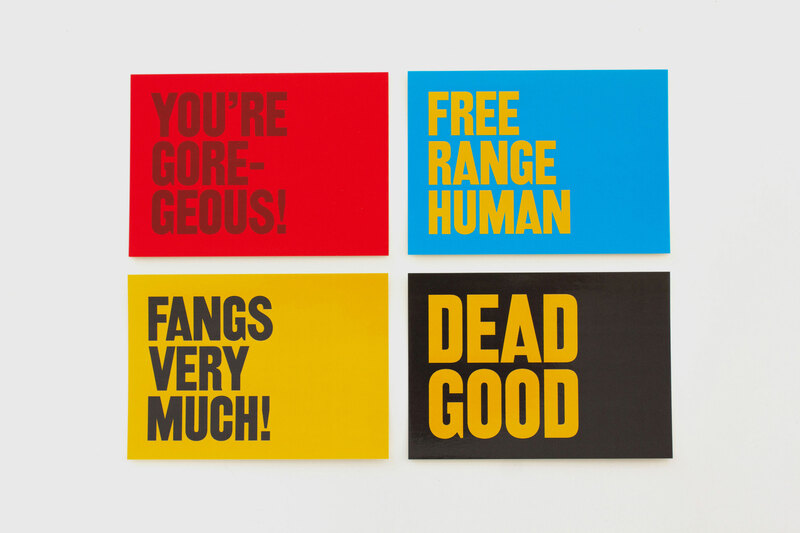 I worked with Sapir and Jonathan to create a 2-part Postal Receipt book, a Hoxton Street Monster Supplies rubber stamp, and some postage stamps. 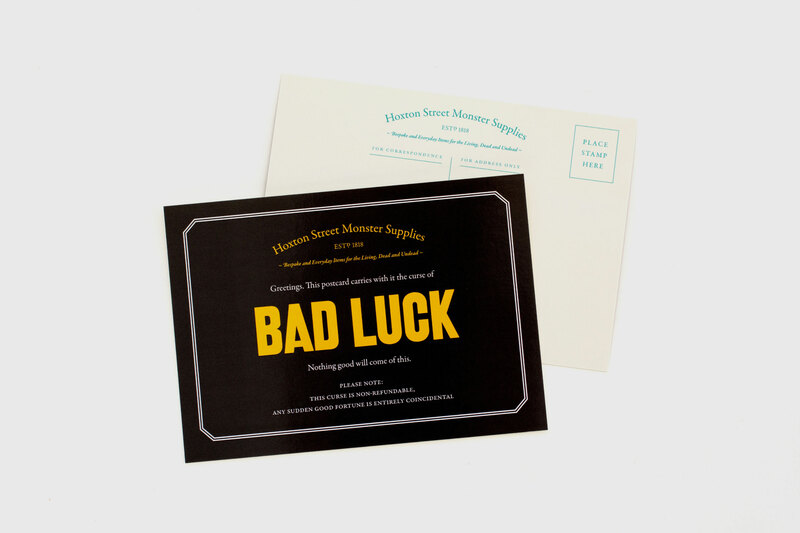 I also created a new set of postcards for the shop – including a set of cursed cards featuring Bad Luck, General Torment and Extended Blight. 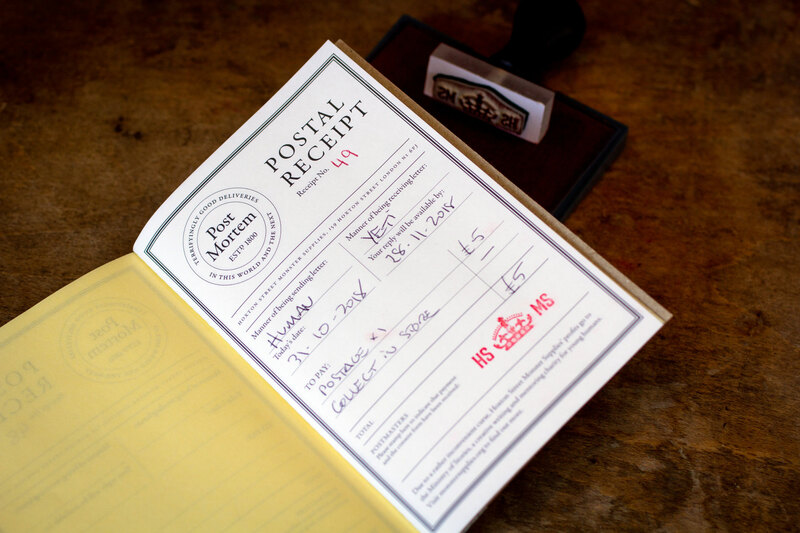 The postal counter is open for business whenever the shop is open – check here for times.